CPC Germania, one of Europe’s oldest wind energy companies, has started a EUR 70 million onshore wind farm project in Isojoki, Finland. With this project, CPC continues to expand its power generation capacity as an independent power producer. The Lakiakangas wind farm currently comprises of two operational Vestas V126 wind turbines, and by September 2019, further twelve Vestas V150 wind turbines will become operational. 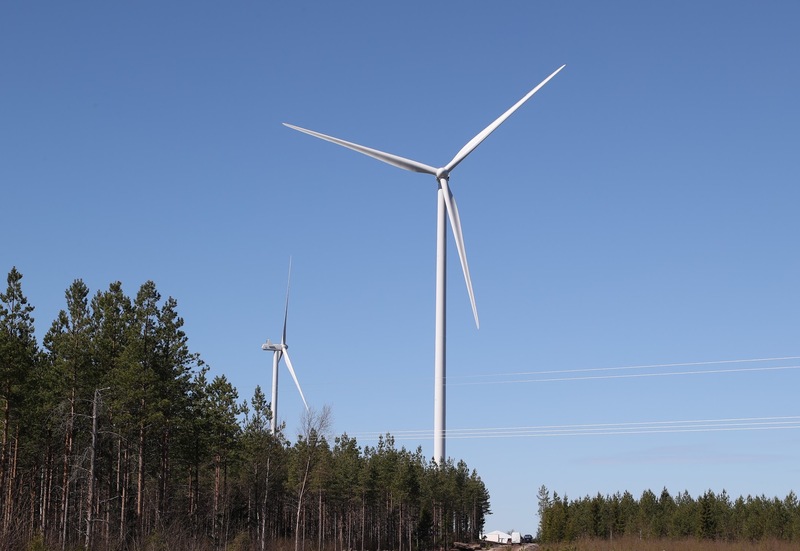 When completed, the Lakiakangas wind farm is likely to be the first market-based, project financed, and subsidy-free wind farm project in Finland. The financing for the project has been structured and arranged by ING Wholesale Banking. “The Lakiakangas wind farm is a true milestone for our company, not only because the wind farm is operated without state subsidies, but also because the non-recourse project finance facility that was closed in record time confirms the high-quality work of our development team,” comments Markus Tacke, CEO of CPC Germania. With the commissioning of the second phase of the Lakiakangas project, CPC will own and operate a portfolio with an asset value of over EUR 300 million with an annual generation capacity of over 600 GWh. The Finnish windfarms will contribute approximately 30 percent to CPC’s total power generation. “With the planned construction of the next, already fully permitted, project stages, we should be able to double the energy output within the next two to three years,” says Adam Janas, CFO of CPC Germania. “Wind energy has now truly come of age, and it is now the cheapest power generating technology in Finland. The Finnish utilities and industries now have an excellent opportunity to lock in competitive long-term electricity prices from wind energy projects,” says Erik Trast, Managing Director of CPC Finland. To enable and facilitate this growth, CPC plans to spin off its generation assets to an independent business unit solely focused on producing and supplying clean energy from renewable sources in Germany, Finland, and elsewhere in Europe. CPC Germania plans, builds and operates wind farm projects. Itis one Europe’s oldest wind energy company with more than 600 MW of wind energy projects constructed in Germany and Europe since its founding in 1993. CPC Germania manages a portfolio with a total installed capacity of 750 MW for institutional investors, utilities and the CPC Group.